Addy Hayman notches six goals and six assists to lead MV. 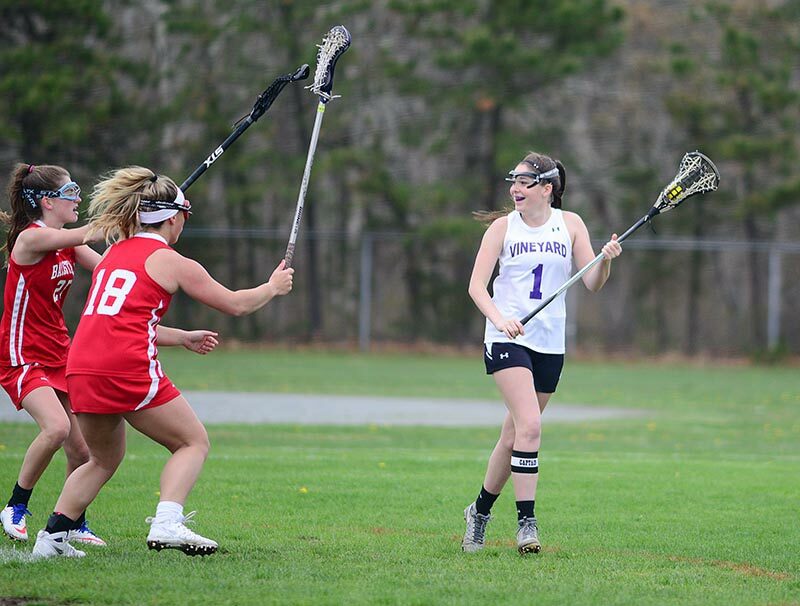 The Martha’s Vineyard Regional High School (MVRHS) girls varsity lacrosse team scored six unanswered goals early in the first half, then hung on for an 18-12 win over Barnstable High School Sunday afternoon at Dan McCarthy Field in Oak Bluffs. 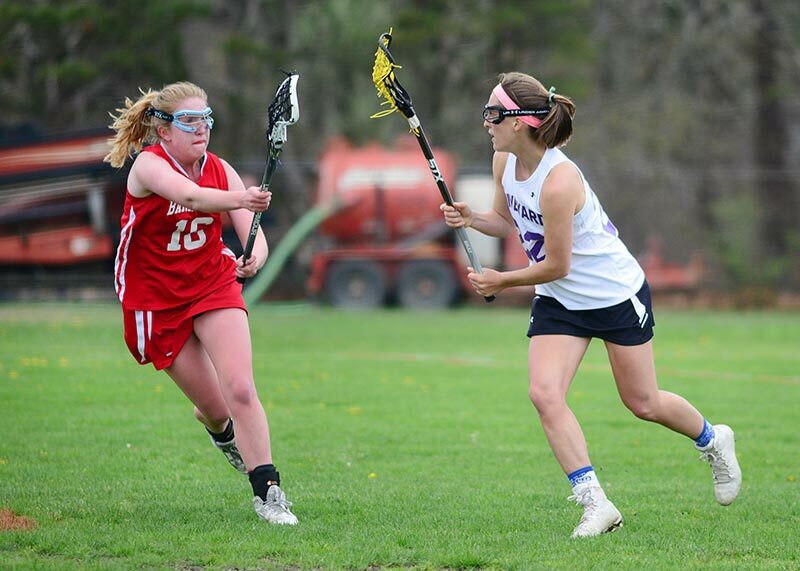 Sophomore field general Addy Hayman had six goals and six assists to lead the Vineyarders in a freewheeling affair. 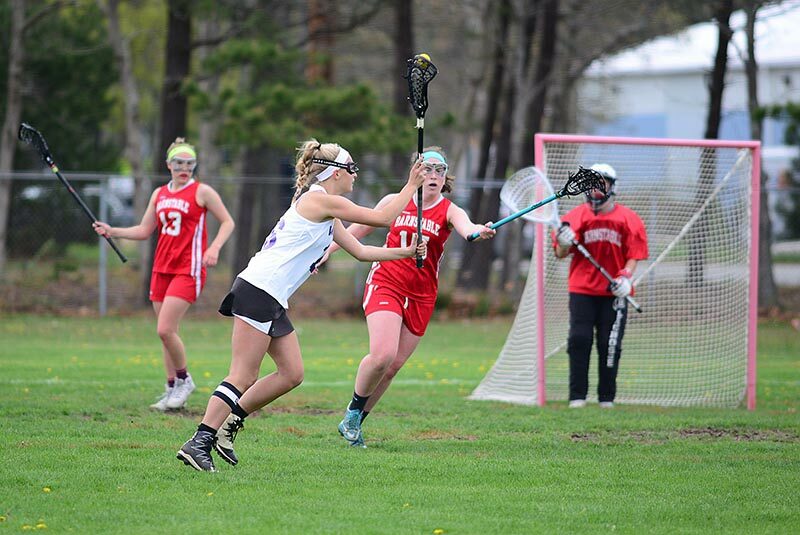 Lacey Dinning scored four times, while Alexis Condon, Louise McDougall, and Audrey McCarron each had two goals. 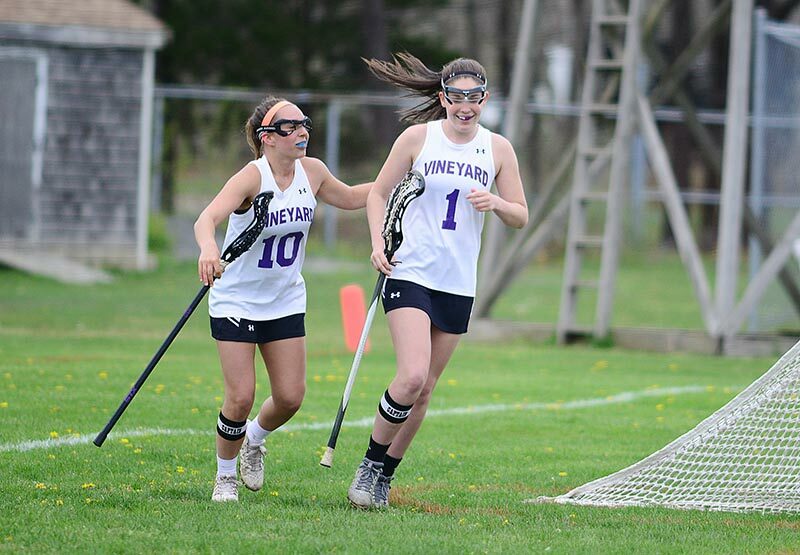 Lily Pigott and Amanda Bernard also scored for the Vineyarders. Mackenzie Connor scored five goals for the Red Raiders. 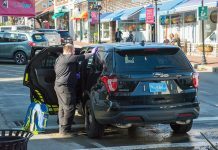 The Red Raiders got on track midway through the half, cutting the MVRHS lead to 9-6 before Ms. Pigott scored with 41 seconds left in the half to give the Vineyarders a 10-6 halftime lead. The Vineyarders scored early in the second half, then the teams traded goals for the rest of the game, in which goaltending played an important role. 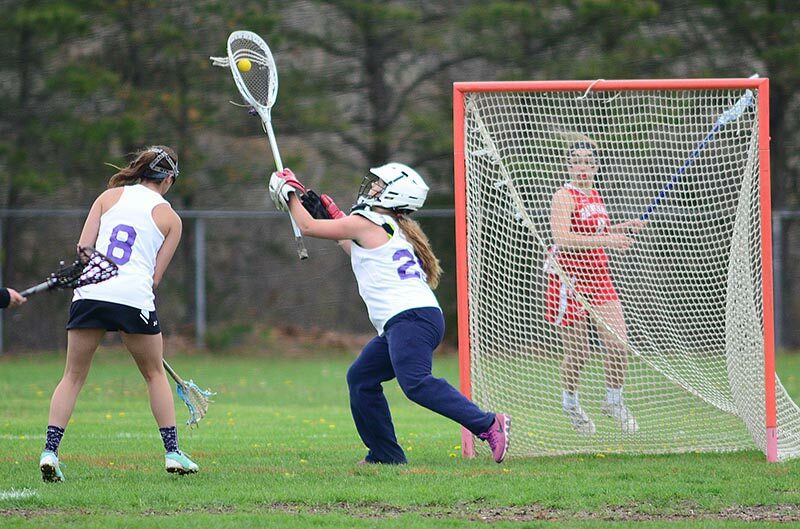 Vineyarder keeper Hailey Meader turned aside 14 Barnstable shots, including several highlight-reel saves. 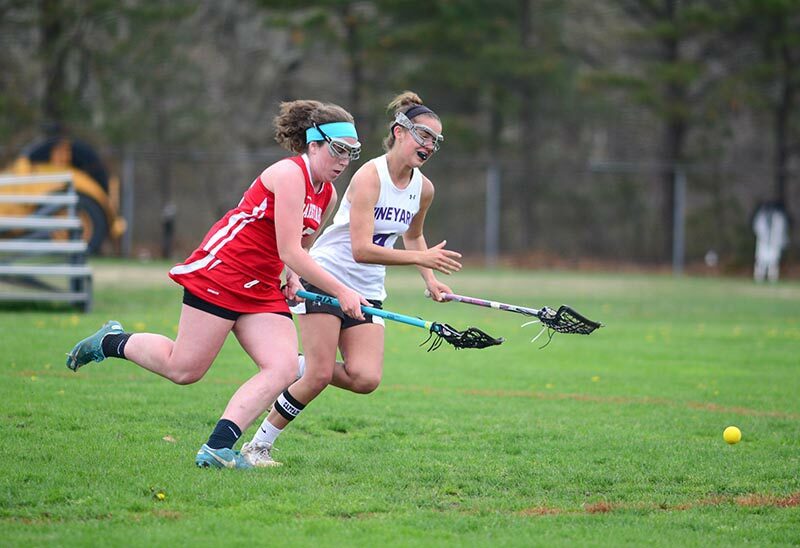 Ms. Meader also set up the final Vineyarder score on a pass to midfield, which Audrey McCarron took in for a breakaway romp and score.